I love to meet students and talk with them about stories. Stories are everywhere. History tells us stories about our past. Science brings us stories about our world and the animals who share it with us. Each of us has our own story to tell. We live our stories and share them in a variety of ways. My presentations are interactive with a focus on science and writing for students in K-6. Through Skype, I can link up with students and teachers in classrooms, libraries or media centers anywhere. I can see and talk with your class and your students can interview me. 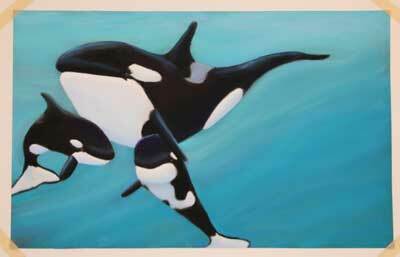 I offer talks for bookstores and presentations for groups who have an interest in children's books or want to learn more about the lives and behavior of orcas and other animals. For more information about my availability and fees, please email me. "If you talk to the animals, they will talk with you and you will know each other. If you do not talk to them, you will not know them and what you do not know, you will fear. What one fears, one destroys."